Nope to all of the above. It’s my knees. They hurt. They don’t let me do a lot of stuff. And they can’t even run. And to make it worse, it’s entirely my own fault. I sowed the seeds of all this from when I was a jogger. I pounded those hard pavements in a pair of very flimsy sneakers and sprinted down hills. And people warned me. They said not to do that because it would ruin my knees. But did I listen? No I didn’t and now my knees are the bane of my life. I took glucosamine chondroitin for years but couldn’t really see any difference and eventually gave up on it. Now it seems there’s a rather unexpected ingredient that offers hope. Not just for my knees but for anyone with joint issues. My knees may be beyond even this sadly as I have physical issues with my knees that need to be addressed but having tried it for the last month or so, I’m thinking that there is a little difference. Less stiffness and pain. Shabir, the pharmacist at Victoria Health, explains all about it. Arthritis affects an estimated one in five people in the UK and although considered a disease of old age, it can affect all ages. Almost everyone realises that to fully appreciate all that life has to offer, you require healthy and flexible joints. Pain relief to help ease the reduction in stiffness of joints is a multi-million pound business with both over-the-counter medicines, prescription medicines and natural supplements containing glucosamine flying off the shelves, but recent studies indicate that all the existing medications may not be necessary. 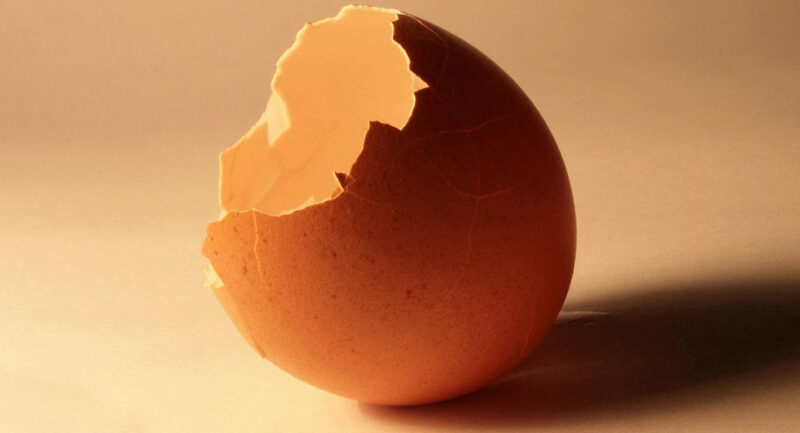 According to two pilot studies, Natural Egg Shell Membrane (500mg), taken once daily, significantly reduces pain, both rapidly within seven days and continuously when used in the study over a 30 day period. More on this later. For the past decade, sales of supplements containing glucosamine sulphate and chondroitin have hit the roof. Some report benefits from using these supplements and yet there are many who simply do not experience any benefit or indeed may experience health problems using these. I am going to highlight some of the reasons why glucosamine supplements may simply be unsuitable for some people. Only a small fraction of the glucosamine and chondroitin are taken up by the body. Studies seem to indicate that approximately 15-20% of the dose is actually taken up by the body. Many people give up taking glucosamine supplements because they perceive that these simply do not work. I believe that these do work and it is simply a question of time. Most of the glucosamine is derived from shellfish – specifically crab, lobster and shrimp shells – a common allergen. The NIH trials on glucosamine showed disappointing results. There were no significant differences between glucosamine alone, chondroitin alone, or the two combined, when compared to a placebo. Although generally considered to be free from side effects, glucosamine supplements can sometimes cause gastro-intestinal disturbances. Glycosaminoglycans (GAGs) – small amounts of polysaccharides such as glucosamine, chondrotin and hyaluronic acid that are the structural components of the skeletal structure and connective tissues of the body. Collagen – a fibrous protein that supports cartilage and connective tissue strength and elasticity. Elastin – a protein that supports skin, cartilage and spinal health. It helps to give tissues elasticity and the ability to resume shape after stretching. Desmosine and isodesmosine – two virtually unknown amino acids that are responsible for helping with the elasticity of joint tissues. Growth Factor B – helps with cell regeneration and optimal immune function. Natural Egg Shell Membrane has been the core of several studies and peer- reviewed articles that for the most part show positive changes in joint health. A patient study published in March 2009 found that supplementing with 500mg of Natural Egg Shell Membrane for 8 weeks had a positive impact on joint health with patients reporting a positive result as early as 10 days after beginning to take this supplement. Another study published in May 2009 issue of Clinical Interventions in Aging concluded that supplementing with egg shell protein supported joint flexibility within 7 days with clinically meaningful results. To read more about this click here. Common in traditional Chinese medicines, ginger inhibits the compounds that cause inflammation around the joint tissues helping to ease arthritis pain. It is especially suitable for people whose arthritis worsens during the cold weather due to its circulatory enhancing properties that warms painful joints by increasing blood flow. Numerous studies indicate that turmeric displays powerful anti-inflammatory properties limiting the activity of the enzymes involved in inflammation (LOX and COX-2). By reducing the effects of these enzymes, turmeric may also reduce associated inflammation and alleviate pain. Turmeric is a potent antioxidant and is hence an excellent choice to help protect the joint tissues from the adverse effects of free radicals produced during the inflammatory process and hence promotes the faster recovery and repair without affecting the immune function. Contain natural anti-inflammatory compounds. In laboratory tests carried out by Michigan State University, tart cherry compounds were found to be at least 10 times more active than aspirin without side effects. Other studies indicate that tart cherries inhibit the chemicals involved in inflammation and these same compounds also have potent antioxidant properties further protecting the joint tissues against free radical damage. This protein is present in every single tissue of the body. An important biological function of HA is the retention of water, second only to provide nutrients and remove waste matter from structures that do not have a blood supply such as the cartilage cells. Cartilage, rich in HA, is a very specialised connective tissue that lends flexibility and strength to the body and is in between the joint structures. The joints are surrounded by a membrane, called the synovial membrane, which secretes a fluid that acts as a cushion, lubricant and nutrient carrier, feeding the cartilage and removing waste matter including acidic compounds that cause pain and stiffness. Unfortunately, levels of HA decline with age just when the body requires this nutrient! Everyone will experience aches and pains, particularly as we get older, but osteoarthritis is not a normal concern of the ageing process, although quite a high percentage of people do suffer from this concern. The most important step is to keep your weight at a healthy level since extra weight puts a burden on your joints that can speed up the degradation process. Making the proper choice of foods can have a profound effect on reducing inflammation in the body. Reduce the intake of high-fat meats, sugar and highly processed foods. Cut back on white flours in breads and pasta and instead opt for 100% wholegrains. Another possible source of irritation comes from the nightshade family of plants which includes potatoes, tomatoes and eggplant. These vegetables contain a chemical which can trigger pain in some people. Increase intake of oily fish such as sardines, mackerel and tuna, which are rich in omega 3 fats. Whole fruits, berries and vegetables are rich in vitamins, minerals, fibre and antioxidants which have a protective action on joint tissues. Choose green and brightly coloured vegetables and fruits each day. Drink plenty of water, herbal teas and low fat or non-fat milk. Deficiencies of vitamin D, which are very widespread, are associated with inflammation and linked directly to osteoarthritis so be sure to get proper sun exposure or take a high quality vitamin D3 supplement. These fats are excellent for arthritic symptoms because they are known to reduce inflammation. Look for quality fish oils or krill oil which is an excellent source of omega 3 fatty acids. Aside from following the above dietary recommendations, many people will require the additional support from supplementation and to this end Superior Joints provides a comprehensive alternative to glucosamine and chondroitin helping to provide both long term and short term support in the alleviation of both pain and stiffness. Superior Joints works to increase joint lubrication, increase resiliency and enhance cellular function in order to rebuild the cartilage network aside from having a powerful anti-inflammatory property that helps to quickly alleviate pain and stiffness. The clinical data arising out of the research is astounding even though the studies were small. Superior Joints may help to get your life back from the clutches of arthritis. I’ve suffered with joint pain for years wre can buy this egg shell membrane? You’ll find a link to Victoria health in the article.